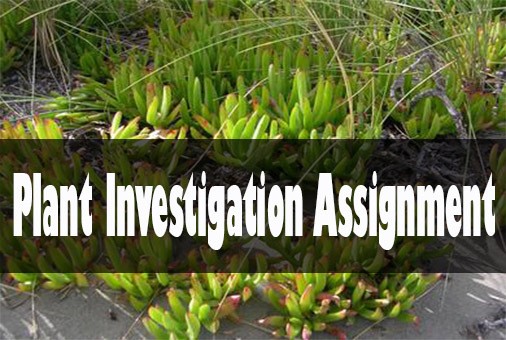 This is a solution of plant Investigation Assignment that describes about Magic Plant growth questions and mathematics problems. 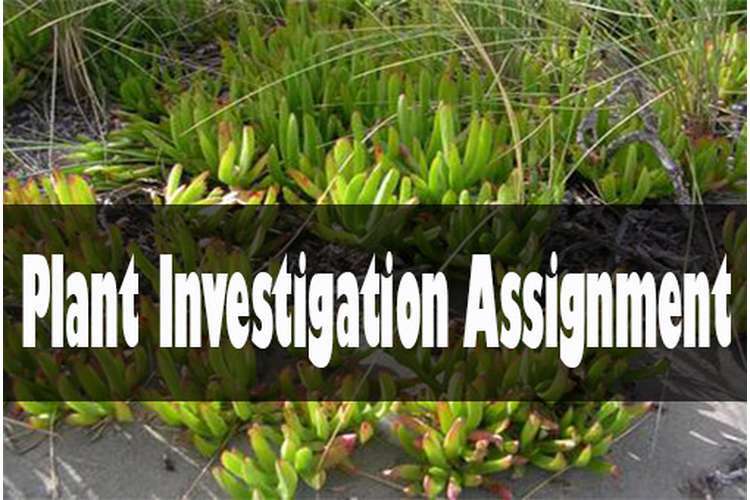 In plant Investigation Assignment a couple of maths problems are provided and it is required that all possible solution strategies and a short note on thinking strategies adopted to solve this question. These questions are suitable for stage 2 -3 and it enables a researcher to identify how same question can be viewed and solved form different viewpoints. The investigation magic plant engaged children in a intriguing manner because it had the questions which can gain attention of a child easily and word magic creates a level of mystery and association with something wonderful in mindset of child. According to Hiebert, (2007) critical thinking and imagination of problem in mind of a child is very important before they can begin the problem solving of maths. On Monday a magic plant is 2cm high. By Tuesday the plant has doubled its height and is 4cmhigh. Each day the plant doubles its height from the day before. A). How high will the plant be on Friday? Ans:- There are different strategies which can be applied by a child and through the experiment different strategies were employed by a child (Joshua, 9year old male). His first view point is to ensure that there is a set growth pattern in the question. It can be designed like this, Monday:- 2 cm, then Tuesday:- 4 cm, then Wednesday it would be 8 cm ...etc. this way a child can calculate the exponential growth pattern and reach the conclusion that by Friday it would be a 32 cm long plant. Second method which can be used to solve this problem is to design a mathematical formula in which exponential growth formulae of the tree can be used. Here number of days would be used as the power of 2, i.e. 2n= height of plant and n is the number of days from Monday. If by that formulae calculation is made then Friday would be 5th day and answer would be 25 which is 32 cm (Sriraman, 2010). Ans:- first possible solution of this problem is to do the arithmetic way of progression and calculating each day like after Friday on Saturday it would be 34 cm long and on Sunday it would be 36 and so on. By going through this method height of plan would be 44 cm on Thursday (Hiebert, 2007). Second possible solution method is to again develop a formula for progression of height of plant and it would eventually be able to determine height of the plant for any day of the week. In this formula 32 cm would be taken as the base of the plant height and all calculation would add that. Formula would be height of plant= (32 + 2n) where n would be the number of days from Friday for which height is to be calculated. For example next Thursday would be the 6th day and height of plant that day would be :- (32 + 2x6) = 44 cm.There are many ways through which a problem can be solved and Implications Strategies of such development would be based on the way a person thinks. First solution is a simpler method of solving such problems and it requires a step by step calculation where growth of each day would be calculated and added. This approach of solving mathematical problems would be easier and applicable with lower number calculation but in case if number of days is high then calculating for each day would be difficult (Strogatz, 2009). For such problems development of a mathematical formula which can be used for any number of days would be the better solution because it ensures that calculation will be fast and accurate irrespective of the fact that number of days which are to be calculated is very low or they are higher. According to Stogatz, (2009) problem solving approach requires a step by step breaking down of the problem and then solving the fundamental units of problem and then building it back. In this experiment these view points were reconfirmed by the problem solving approach used by the children. They first broke down the problem and developed into a fundamental problem solving formula and then applied the formula on all problems. In this task a young male student of age 9 year is being selected and he would be interviewed and observed for analysis of his thinking process, achievement level etc. Some materials and paper were also provided to the child in order to help him in demonstrating his knowledge and skills and at the same a objective observation is made about the way child is answering to the questions. Name of the child is Joshua and he is demonstrating some extremely good skills of analytical abilities and also giving an impression that he is a keen observant of approaches used by other peers (Hamby, 2007). 1: What is the latest hobby you have taken up and you are so excited about it. S01:- my latest hobby is solving mathematical questions and quizzes which are there is magazines, newspapers, text books etc. These quizzes are mostly about animals, plants, their numbers etc and i am required to solve these problems on my own without any help from an adult. I am excited about it because i am making friends with a group of other people who do this daily and then discuss it in class. Now i can also discuss these things with them and be a part of the group. 2: how excited you are about your new hobby and how do you think it would help you in your education? Ans:- i am very excited about my latest hobby and it also help me in doing my homework and other things fast. My parents also say that this is a very good hobby and i should practice more on this so that i can do better in my school grades. It is also told to me by my parents and teachers that there are many other sports and activities which i can use for further enhancement of my skills like playing chess, reading newspaper and solving Su do Ku game. All these are new for me and it is difficult in starting but later i get used to it and soon it becomes easy for me. 3: What do you do if you problem with solving a maths quiz or any other question? S 03:- Most of the problems come with a hint and i am supposed to think about such hints and decide. I was taught how to do this by my father, he told me every problem has a hint or a way to think and if i find that hint then it is easy to get the answer. Also in many quizzes which i solve there are examples or samples of solution and i can refer to these solutions and see how they are solved. I can also refer a book or ask my parents or teachers to help me through the problem, but i am not allowed to ask them to solve it for me. I am supposed to do it myself and that what i always do. S 04:- I have started discussing things with new group and also participated in explaining what all quizzes i did last day. However at times i feel that my many answers are wrong while there’s is very much right and they have a good number of answers right. Sometimes i think this makes me feel bad about myself and they think of me as a loser. I am also afraid that i might not be able to be as good as they are, my parents and teachers think that this should be my challenge and i am trying to meet up to this (Le Cornu, 2009). On observation of solving approach to some of the problems given to the child (he was given problems which are mentioned in task 1 and it was observed that his approach is more analytical and logical). He read each problem carefully and then did not start calculating with each increasing day which is a easier solution for smaller numbers. He started with thinking and then looked for a pattern, his initial calculation were done through pure imagination and then he started making some patterns on a paper and then he mumbled about being double everyday and it can be used as a multiplication factor. This is a right pattern of thinking which is observed and it also indicates that child is having analytical skills to break down a problem into its fundamental parts and then solve it. This approach if developed properly would enable the student to pursue his academic career in analytical skills and professions where usage of mathematical calculation would be important (Hamby, 2007). On a comparative evaluation it was observed that mathematical skills of the student which is selected are at par with the standards of K 6 courses and at many students is demonstrating better skills than an average student. He has a sound knowledge of basic mathematical formulas like factoring of a large number, using power of a number, developing progressive growth pattern and exponential growth etc. It is also observed that as per the standards of K 6 child is having sufficient analytical and critical evaluation skills which enables him to understand a problem and reach out to its root causes or fundamental problem which needs to be solved and then working on a problem through bottom up approach. Identification of patterns in a problem and developing a equation for a permanent solution are also observed, however on a psychological basis child is showing some under confidence because he is not yet able to reach as many number of right answers as his peers. We need to understand that pattern tranning and development in child is on the right track and now he is just required to focus on his accuracy and develop better results to boost his confidence. All the approaches mentioned in task 3 after this are based on developing higher confidence level in student (Moore and Parker, 2012). According to the interview conducted for child in task 2 it can be said that selected child is a normal healthy 6 year old male child who has recently started taking interest in some mathematical hobbies and he developed a new social circle. It is observed in the interview that since child has recently develop a new habit of playing quizzes every day he is not yet good at it and he is being mocked or made fun off by his peers. From this development it can be stated that child is slightly under confidentabout his abilities and he is not sure if he would be able to cope with other players in quizzes who are experienced and according to his words “know everything”. To improvise confidence level of this child it would be better that he start doing some more practice at home and develop better skills of quizzing. Family of child and his teachers can help the child in developing into a habit of regular practice and seeking their help if he does not understand anything. Providing moral encouragement and motivation to the child would also help in boosting his confidence level. Thus regular praise and appreciation for his efforts would also help in improving child. In this aspect parents and teachers have to cautious and ensure that praise and appreciation should be balanced and it is done only where it is due and justifiable. Over praising and appreciation would act as a negative force and it would either increase the confidence of child unreasonably high or it would be appear so fake that child would not be able to trust even if it is partly true. Another method which is to be employed for improvement in child is to be a supportive and constructive critique of child. Both parents as well as teachers of child should work towards this development and they identify the strength and weakness of child and communicate him the areas where improvement is needed. Through positive constructivism and supporting child wherever he needs it a lot of improvement can be made in child. Parents as well as teachers can also use advance multimedia approaches like using video and audio based tutorials, taking assistance from internet or searching for pdf documents which can be usefully in brushing up of knowledge and skills of child etc (Duckworth, 2006). Sriraman, B. (2010). Theories of Mathematics Education. Springer. ISBN 978-3-642-00774-3. Strogatz, S. (2009). The Calculus of Friendship: What a Teacher and a Student Learned about Life While Corresponding about Math. Princeton University Press. ISBN 978-0-691-13493-2. Duckworth, E. R. (2006). "The having of wonderful ideas" and other essays on teaching and learning. Third edition. New York: Teachers College Press.